On this sunny summer day, I figured we’d focus on a summery prototypical cheating song that kicked off the 90’s, penned and sung by none other than Garth Brooks. The man that has made entire generations follow in his footsteps and has recently gotten back into the rhythm of things himself. Touring again on his first tour in decades, there is no better time to see a show of his! 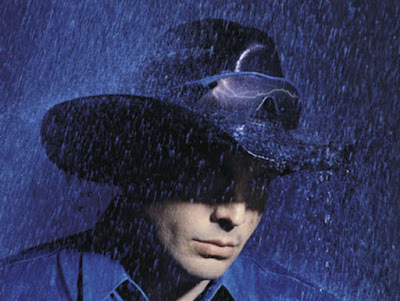 A classic Garth tune through and through, “The Thunder Rolls” was written by Garth Brooks and Pat Alger. Alger’s credits read like an absolute Mecca for country music and songwriters everywhere. Like manna from Heaven, his talent rained down on pretty much every recognizable name of the 80’s and 90’s. It poured down upon the Everly Brothers, Dolly Parton, Kathy Mattea, Peter, Paul and Mary, Don Williams, Rhonda Vincent, Tanya Tucker, Crystal Gayle, Hal Ketchum (Yes, to answer your question one of them was “Small Town Saturday Night!”) and more! With Garth, there aren't enough words in the English language to speak of all he’s sung, done and written. The “Garth” of it all cannot be contained into any amount of words, it’s just “Garth.” This hasn’t been the first time I’ve written his praises and it won’t be the last. But on the wind and rain, a strange new perfume blows.” She doesn’t try to hide her reaction, her eyes flash rage and betrayal as the torrential downpour releases from both her and the sky above. This song can definitely be defined as a classic and it's definitely classic Garth. We normally include a video with the song for the reader to enjoy and "flash back" to, however Garth's label has strict restrictions on posting Youtube videos due to copyright infringement.